Founded in 12th century, Kaunas is the second largest Lithuanian city located at the confluence of major rivers Neris and Nemunas. Once a provisional capital for the country, Kaunas also has a history of being economic, cultural and academic center of Lithuania. This Lithuanian city does not just holds a historical background to it, but is also one of the contemporary towns in the country with a rising culture of clubs, bars, shopping and more. 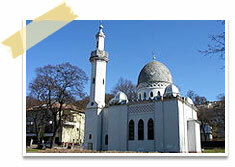 Large number of landmarks in this Lithuanian city is known for their impressive architecture and designs. Sights like Kaunas Cathedral Basilica, Church and Monastery of Pažaislis, Kaunas Mosque, Vytautas the Great War Museum, Christ’s Resurrection Church and Kaunas State Musical Theatre display the fine architecture of ancient Lithuania, whereas Kaunas international airport, Vytautas the Great Bridge and the municipality building are landmarks with modern architecture. Being situated at the confluence of major rivers, this city has around 34 bridges including M. K. Čiurlionis Bridge, Vytautas the Great Bridge, Vytautas the Great Bridge and more. The old town in Kaunas is an interesting place to explore its local attractions. These include Kaunas Castle, Kaunas city hall, Communications history museum, wax melting furnace, St. Francis Xavier Church, Vytautas' Bridge, St. Gertrud, Napoleon's House and Historical Presidential Palace. Other sights of interest in Kaunas are Lithuanian Zoo Park, The House of Sugihara, Lithuania's Museum of Aviation, Kaunas Fortress and many more. Lithuania Cars Rental is associated with top car hire suppliers in Lithuania. Our car hire and rental deals also include requisites like insurance, theft protection, CDW, breakdown assistance, customer support and more. We also have access to key cities and airports in Lithuania, which means large number of pick up and drop of locations to choose from.